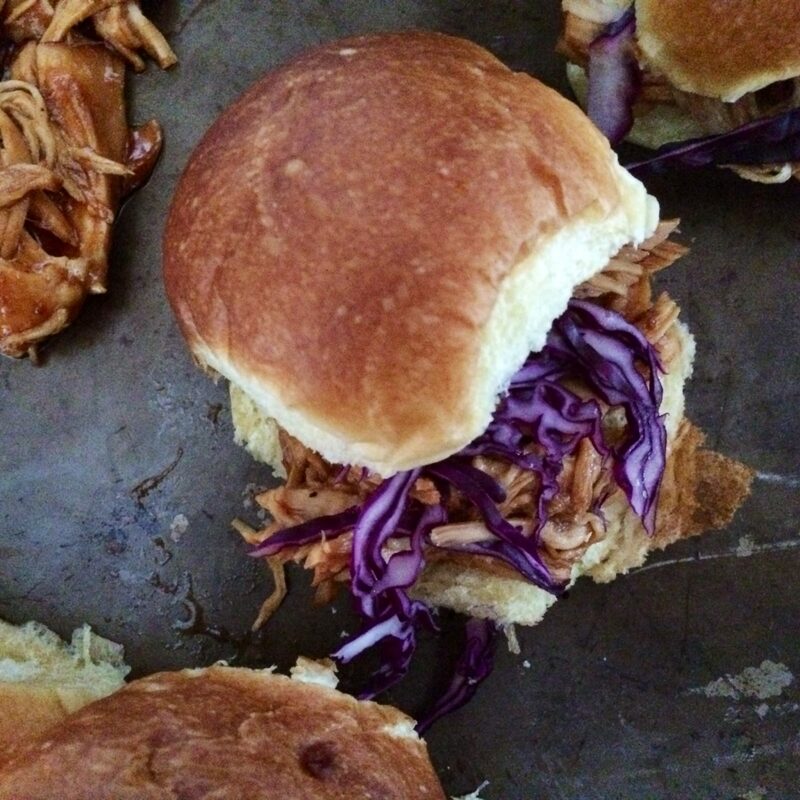 What is it about game day food that is so great? Maybe because most of them are finger-foods, cheesy, salty, I’m not sure… Whatever it is, I think we can all agree it’s fantastic. I know many of you aren’t a fan of the Crock Pot but when it comes to using it for game day bites I’m all in. 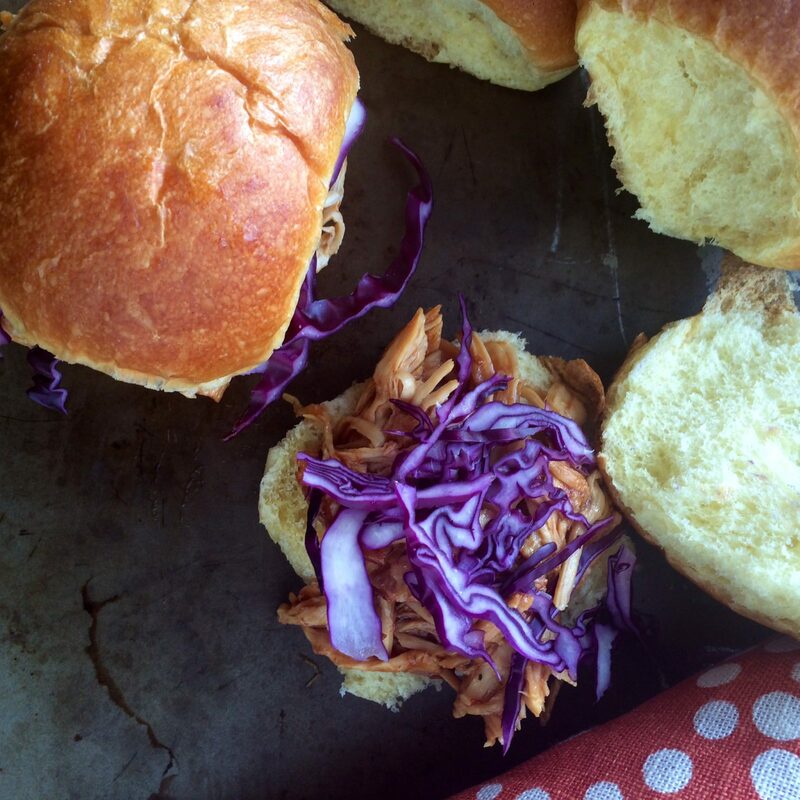 Throw only four ingredients in this handy dandy little machine and come back in 3-4 hours and you’ll have tender, flavor-filled BBQ Pulled Chicken. That’s a touchdown-scoring ending in my book! 1. Pour BBQ sauce, brown sugar and italian dressing into a small bowl and mix to combine. 2. Place chicken into crock pot and pour sauce on top. Cook on high for 3-4 hours or until chicken is cooked through. 3. Shred chicken with a fork. 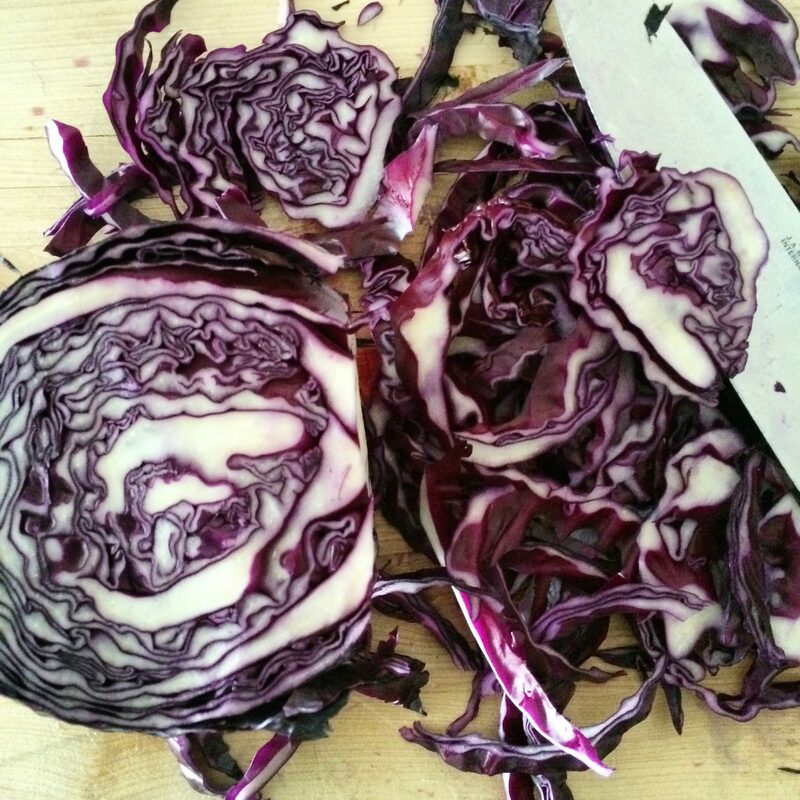 Place on top of slider rolls and top with thinly sliced purple cabbage. 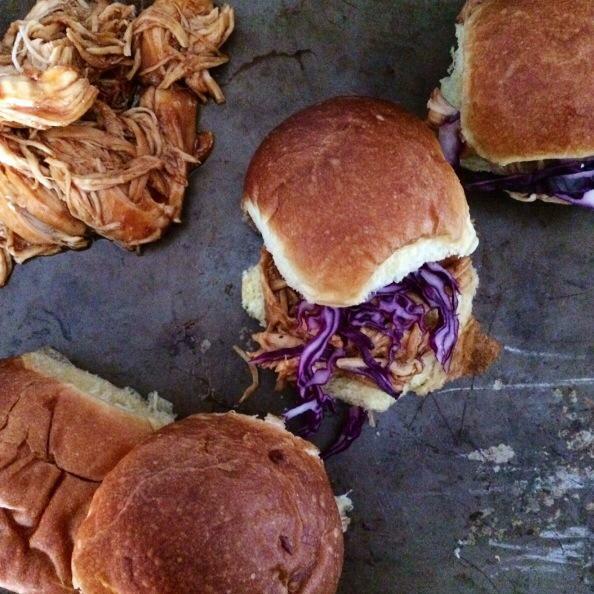 Perfect game day grub, and so easy. Love these!